Should You Bother With A Personal Website? I recently wrote an article on LinkedIn that explains why you may want to consider setting up a personal website. Related: 3 Reasons Not Having A Personal Website Might Be Costing You Big I didn’t always think they were a good idea. But, times have changed. The ‘new normal’ for professionals today is to have a strong personal brand. That includes having more than just a LinkedIn profile. 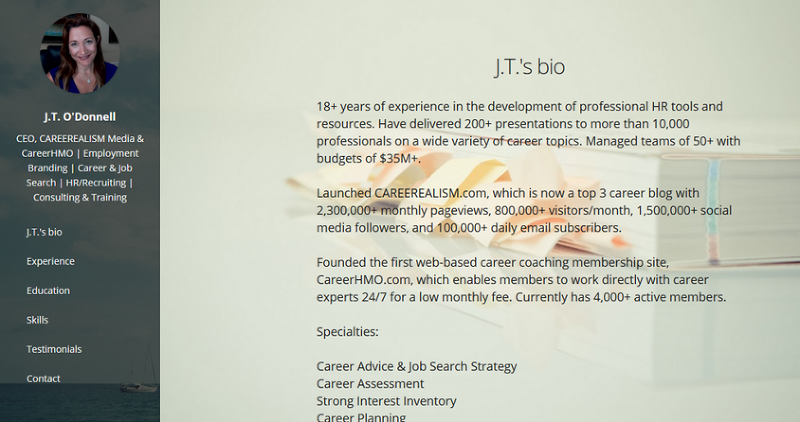 Read the article over on LinkedIn and you’ll see why >> As a result, I invite CAREEREALISM readers to check out the new personal website platform, Branded.me. I was such a fan of the platform, I decided to become an advisor to the company. Here’s why… If LinkedIn is the new resume, then Branded.me is the new cover letter. It’s easy to create your site and offers you a way to present yourself in a compelling manner, without having to worry about making a mistake. It takes less than five minutes to set up and it's very user friendly. There is a free version you can use immediately. I encourage you to check out Branded.me. It could be the personal website solution you are looking for.